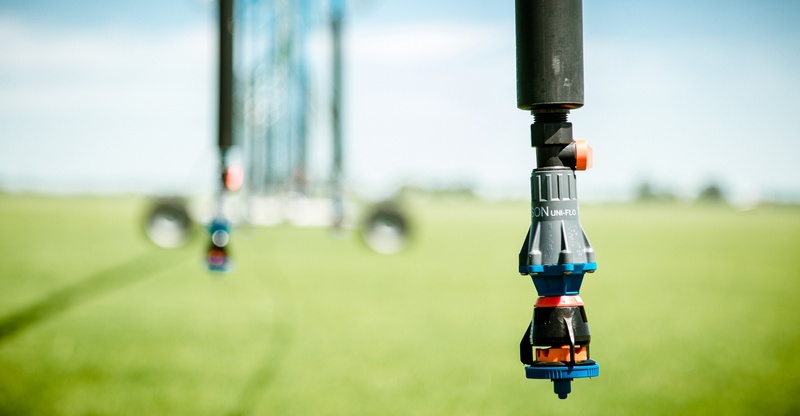 There’s an infinite number of options when selecting a sprinkler package, so designing the right one for your field can be tricky. 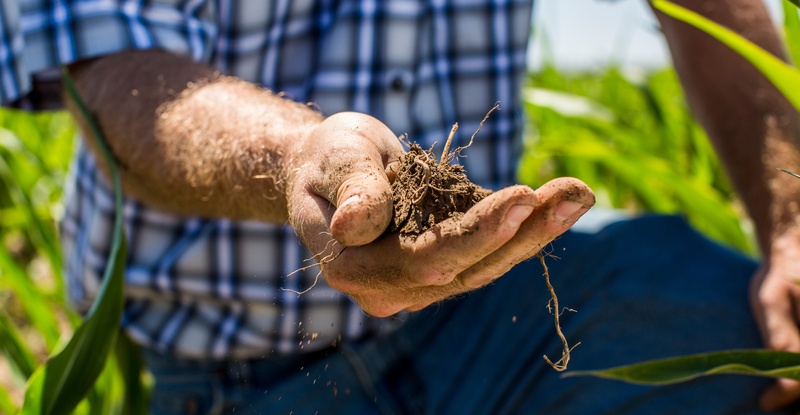 Depending on the type of soil, crop, or climate you’re operating with, your sprinkler package will need to be customized specifically to you. 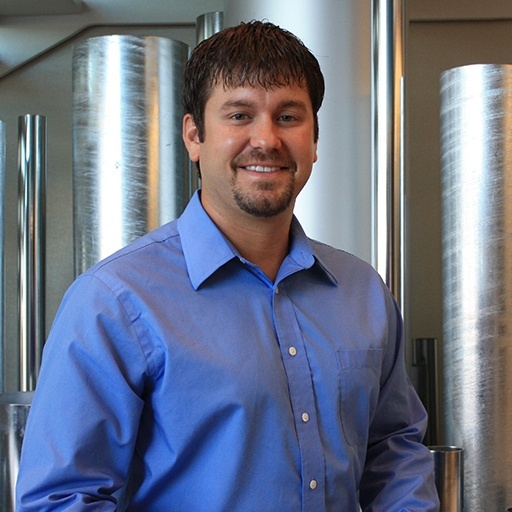 Here are five things your dealer will typically look at when designing your sprinkler package. 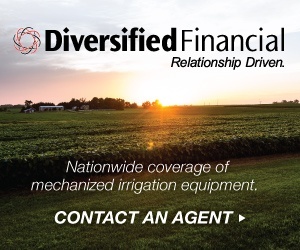 Dealers must verify that the machine and sprinkler package is capable of applying enough water to adequately irrigate certain crops. 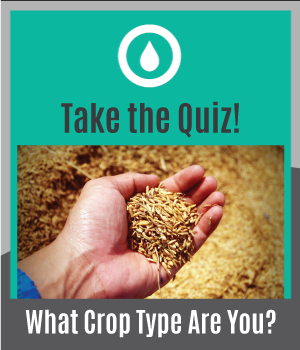 There are four main factors that go into determining the machine flow rate: climate, environment, crop water requirements, and potential irrigated area. 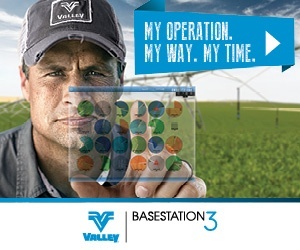 To attain maximum yield and minimum water loss, sprinkler package designers must take these factors into account. 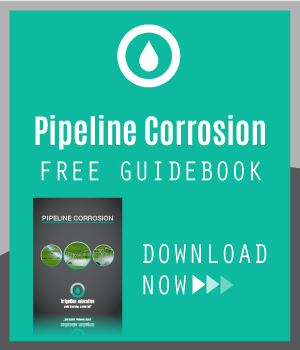 Dealers will be able to set up an appropriate flow rate for your machine based on your particular field. Different soil characteristics require different water patterns and droplet sizes, which is why there are so many sprinkler options. Preventing ponding and runoff is a key driver behind high-performance sprinklers. This usually means using sprinklers that have a large water pattern and a droplet size that is gentle on the soil surface, yet resists evaporation and wind drift. 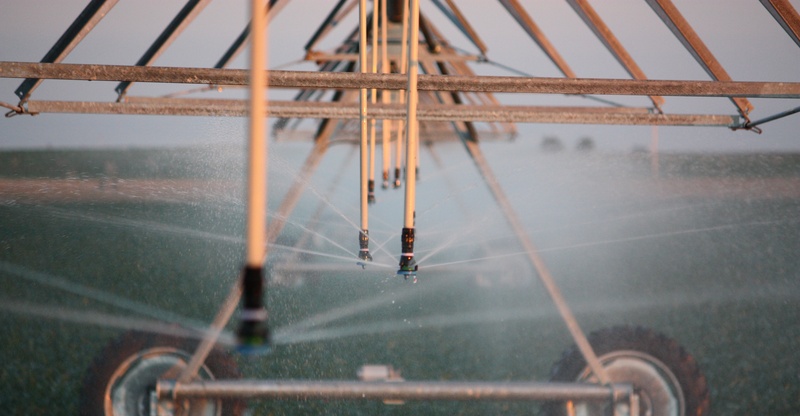 High performance sprinklers are able to do all these factors well, and subtle changes to the deflector pad, sprinkler operating pressure, and spacing allows the designer to fine-tune a sprinkler package to a field. 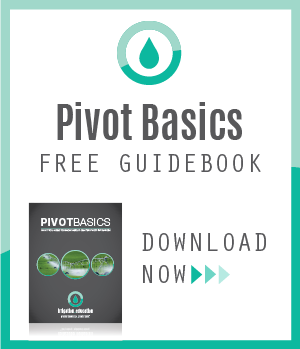 Dealers need to understand the aspects of pressure to be able to make reasonable decisions regarding water delivery for any type of irrigation. 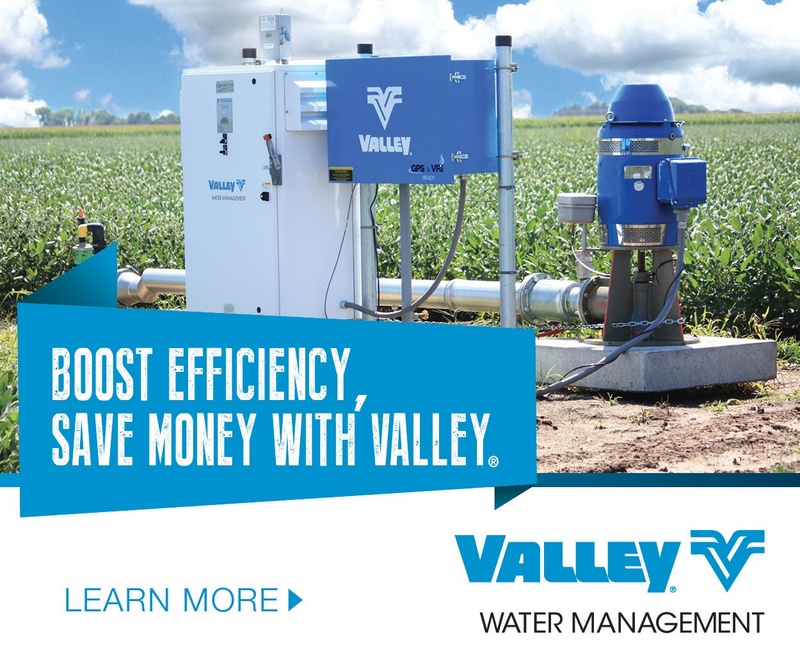 Pressure, or the amount of energy to push water throughout the irrigation machine, will depend on the field elevation. 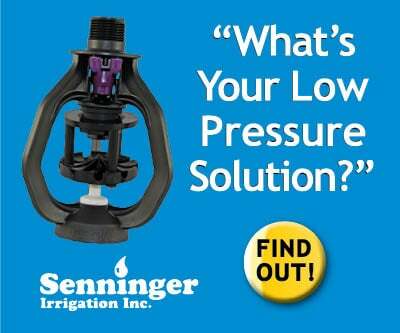 If the pressure delivered to the machine is different than what it was designed for, there is a potential for water application issues. Well thought out sprinkler spacing is required for uniform water application. Overlapping of adjacent sprinkler patterns can improve irrigation efficiency if done correctly. Spacing that is too wide can reduce uniformity, while outlet spacing that is excessively close can have diminishing returns for the added cost of more sprinklers. Sprinkler spacing may change along the length of the machine to meet water application and economic goals. 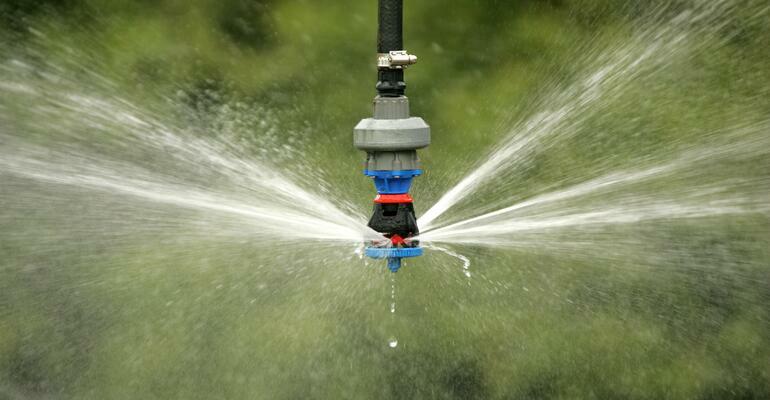 The flow rate for each sprinkler will depend on the size of the nozzle. 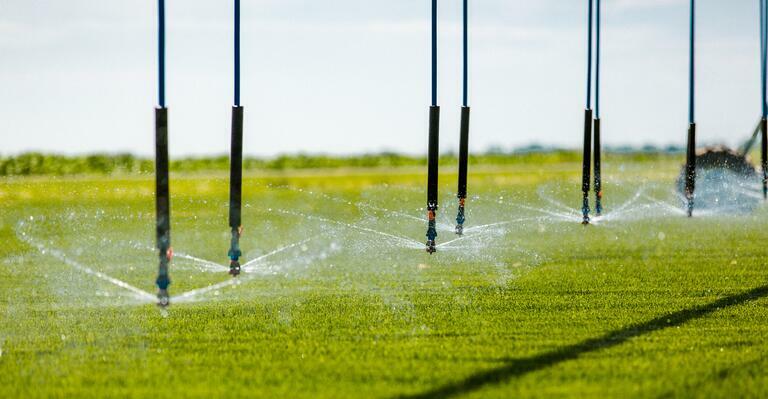 A different nozzle size will be required depending on the area of land you need to be irrigated. 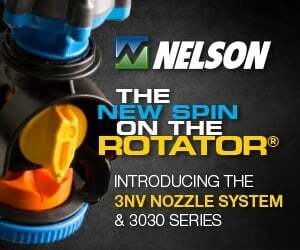 To get the highest yield results, ask your dealer which nozzle size will work best. Now you know a little more about the process of designing a sprinkler package. Taking these five criteria into consideration are vital for dealers to produce the best sprinkler package for your system. To learn more about these factors or available sprinklers, log in to the Search the Course Catalog for sprinkler courses from our sponsors.